Millions of websites offer informative information, but if you’re looking for the top career information out there, you need to be more selective. To help you save your time, we’ve hand-picked and listed the top career blogs for you (they are listed in no particular order). Get ready for some inspiration! Donna Svei is an Executive Resume Writer and Interview Coach. She is also the sole writer and owner of Avid Careerist. Article topics include: proper resume writing, what to add to your LinkedIn account, how to stand out to recruiters, and much more. Donna uses her experience to help countless individuals as they embark on their journey to find the job of their dreams. Career Attraction inspires individuals, who are currently feeling “stuck” at their jobs, to think outside the box. Olivia and Kevin are partners at Career Attraction, and they provide articles and videos to encourage people to stop settling and to pursue the job and lifestyle they want and deserve. Joshua Waldman was laid off twice in a six month period back in 2008. Since then, he has done extensive research, interviews, and case studies to determine the key principles of today’s job search. Joshua has spoken at countless colleges throughout the US, and his message has been well received by college students due to his down-to-earth style. Since 2008, Career Bliss has been encouraging and assisting individuals in finding a career that makes them happy. 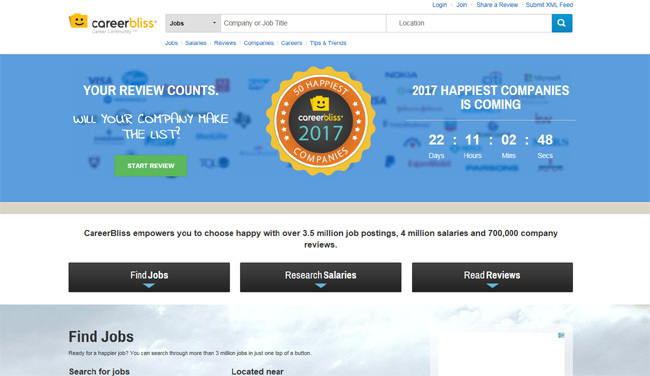 Career Bliss offers a national job board, company reviews, and articles to help individuals reach their goals. 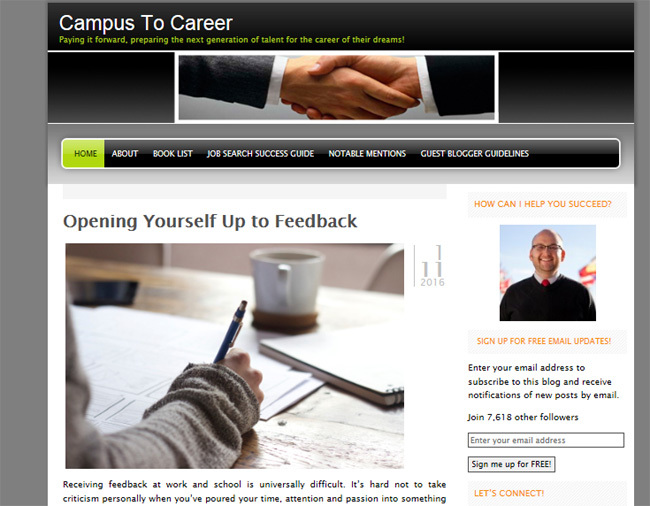 The blog is filled with useful information that has been written by countless guest contributors as well as the Career Bliss Team. 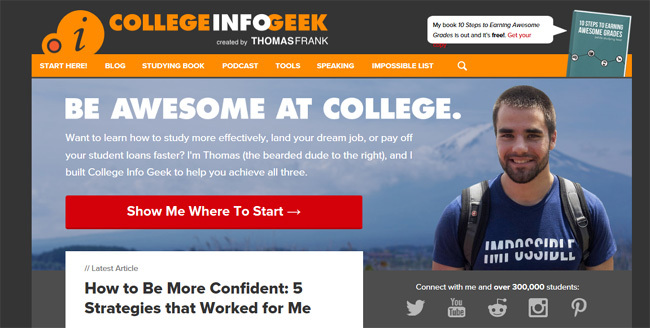 Thomas Frank is the founder and sole writer for College Info Geek. Thomas caters to students who are looking for better ways to study and make the most out of their college experience. 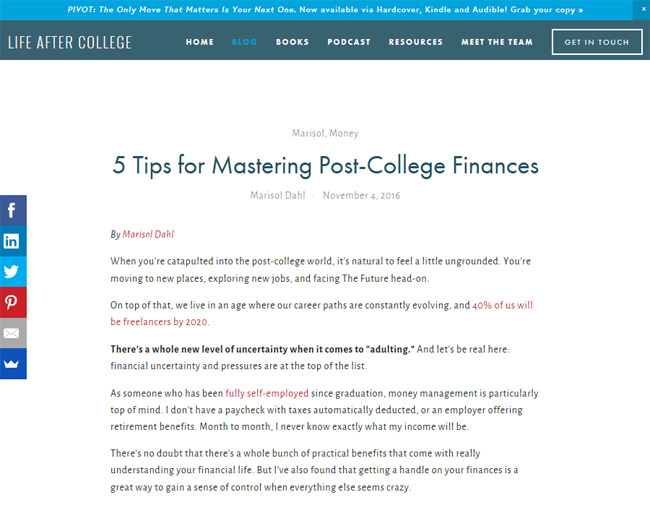 In his blog and podcast, Thomas covers several topics about college life, useful relationships/partnerships, and building a solid financial foundation. 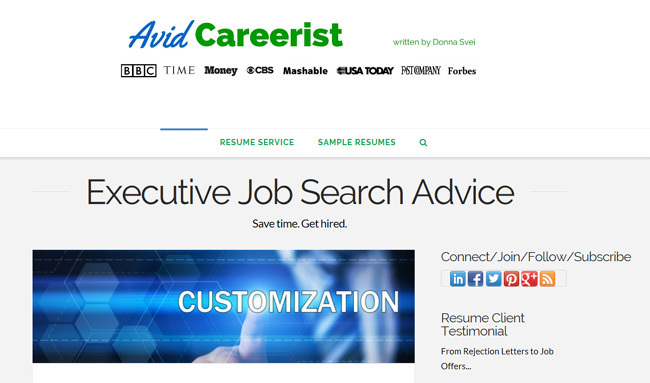 Come Recommended is focused on content marketing and digital PR for job searches. Their experts are devoted to connecting people and brands. 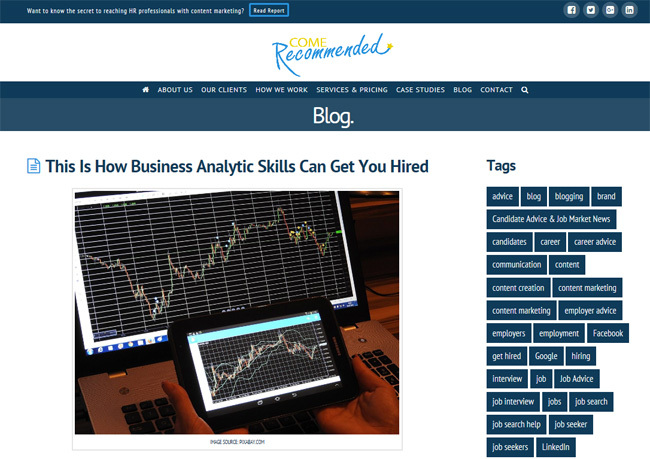 Come Recommended has three separate blogs that cater to different categories within the job search market. Several different people with experience in Career Management, Recruiting, Marketing, and Digital PR contribute their advice to the blogs. 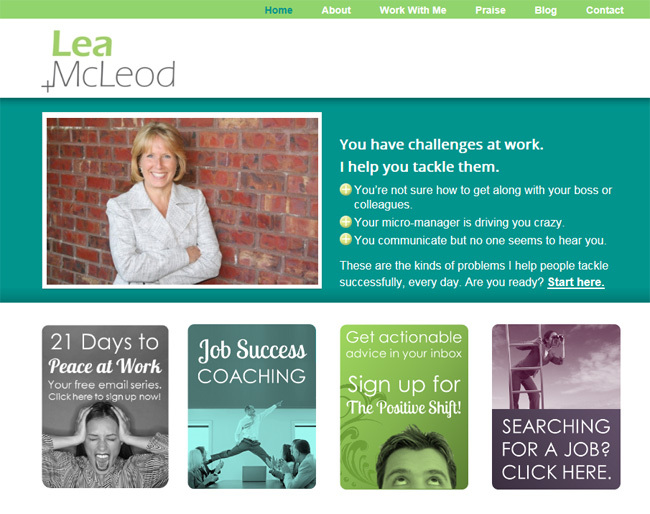 Lea McLeod’s purpose is to help individuals find peace of mind at work. Lea speaks on the importance of mastering your job instead of allowing it to master you. Lea is the only writer for her blog, so within each article readers will get valuable information plus a personal connection to help them find that peace and balance. Jenny Blake is the founder of Life After College, and has a passion for inspiring people to wake up and live their lives. Jenny encourages individuals to take risks and enjoy their journey. 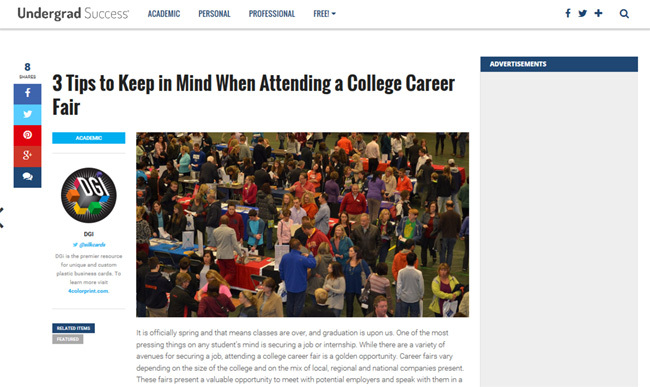 Jenny along with her team contribute articles to the blog and share their experiences of life after college. Social Hire helps recruitment teams, marketing managers, and small business owners enhance their social media to attract proven results. 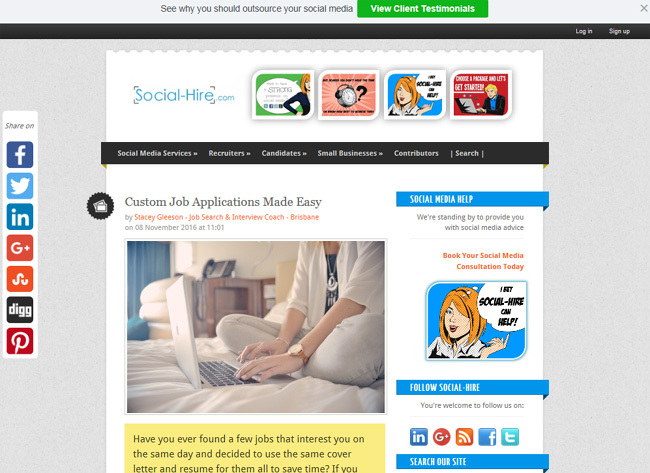 Social Hire has three separate blogs focusing on specific positions and situations. Several members of the Social Hire Team contribute their research and expertise to the articles on each blog. 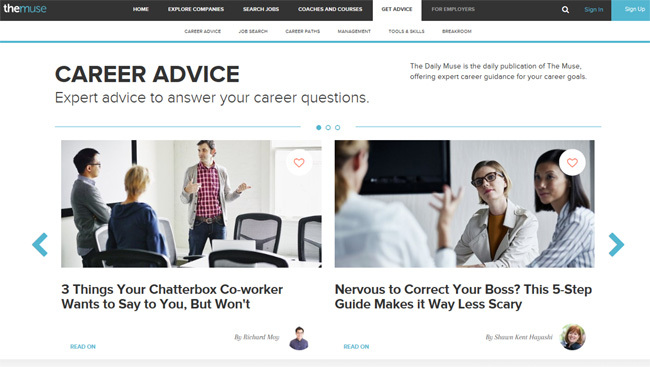 The Muse posts job opportunities and offers insightful career advice through online resources and career coaches. The blog is filled with tips from experts on how to manage several work-related issues. Undergrad Success started off with three friends who wanted to share their experiences so that other students could learn from them and achieve success. Currently, Undergrad Success has more than 30 authors who contribute knowledge with the world. 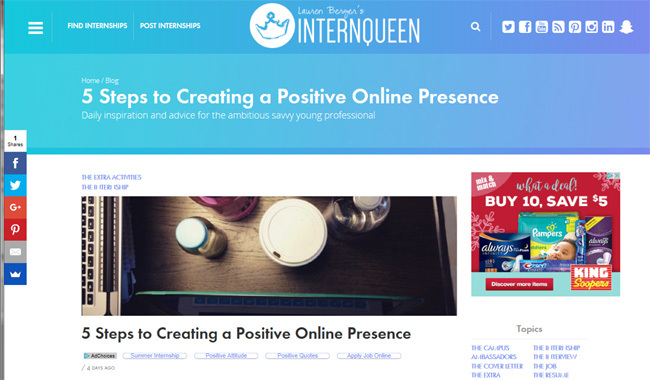 Lauren Berger is the founder of Intern Queen. She is dedicated to connecting young adults with internships and career opportunities that are in line with their ultimate career goals. Throughout the blog portion, Lauren shares articles about online presence, how to land your dream job, pitching yourself to a company, and so much more. 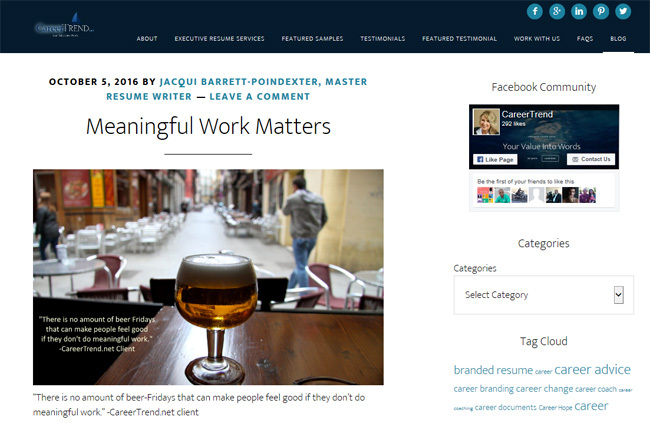 Jacqui Barrett-Poindexter is a Master Resume Writer and founder of Career Trend. 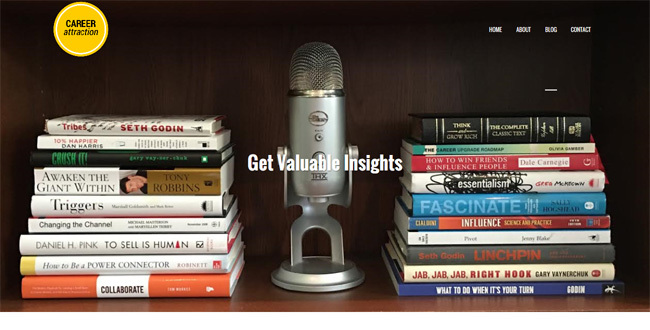 Throughout her blog, she blends her strategic interview skills with her journalistic writing style to empower and connect to the masses. 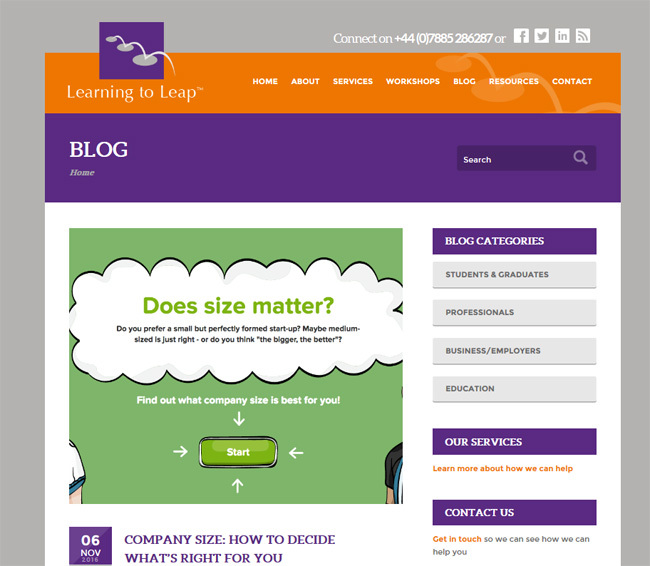 David Shindler’s Learning to Leap blog focuses on the mindset and soft skills you need to become more employable. David is a career coach, speaker and author working in education and business. He shares insightful tips and information to inspire, motivate, and help readers become more adaptable to change in their professional life. 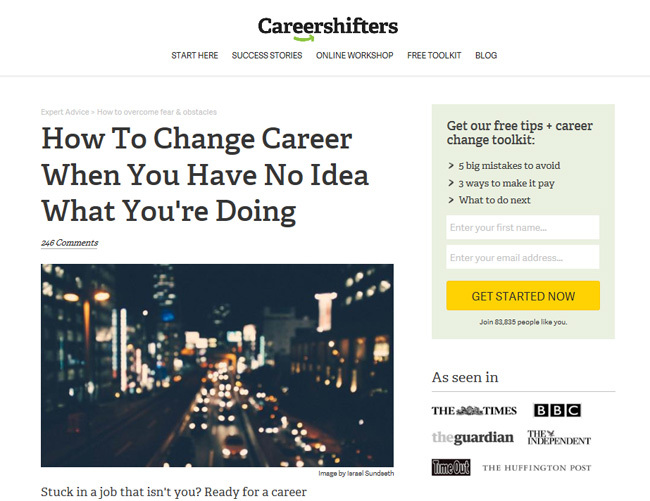 Career Shifters was created by a group of friends who were tired of feeling unfulfilled at their jobs. They had the courage to make a shift in their career, and now they want to encourage everyone else who is unhappy in their job to do the same. Career Tree was founded in 2010 by Sarah Archer. Sarah is passionate about helping individuals find a career they love. 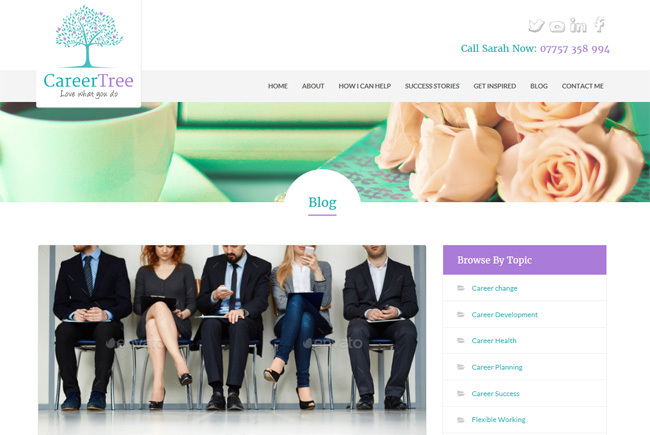 The blog on Career Tree is filled with encouragement, advice, career development, and interview and resume tips. 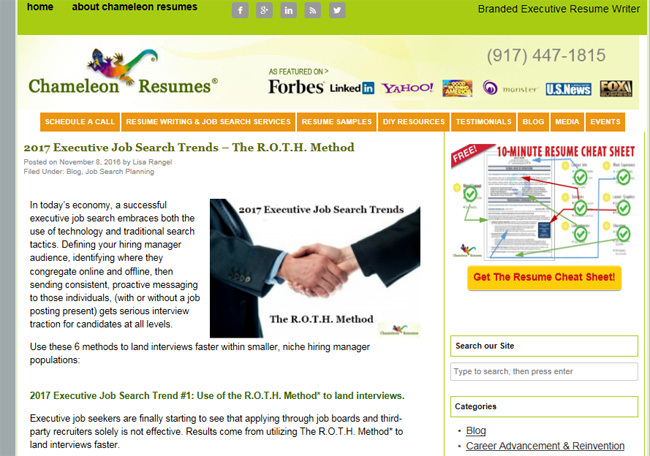 Chameleon Resumes has a team of executive resume and LinkedIn profile writers dedicated to creating eye-catching documentation and teaching individuals how to land a job faster. Blog articles focus on ways job seekers can reach hiring managers and advice from founder, Lisa Rangel, a 13-year recruiter and LinkedIn’s Job Seeker Premium Group Moderator. 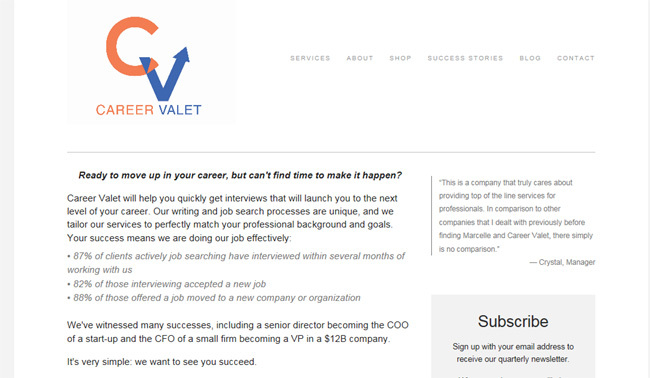 Career Valet has experienced resume writers, interview tools, and an efficient job search to help individuals get to the next level of their career. Marcelle Yeager is the President of Career Valet and has more than 10 years of experience as a communications and strategy consultant. 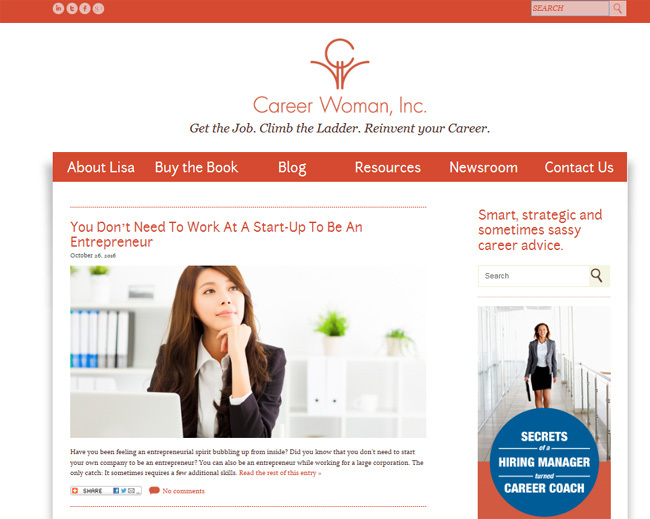 She uses her experience to craft each article on her blog, to encourage people to progress in their careers. 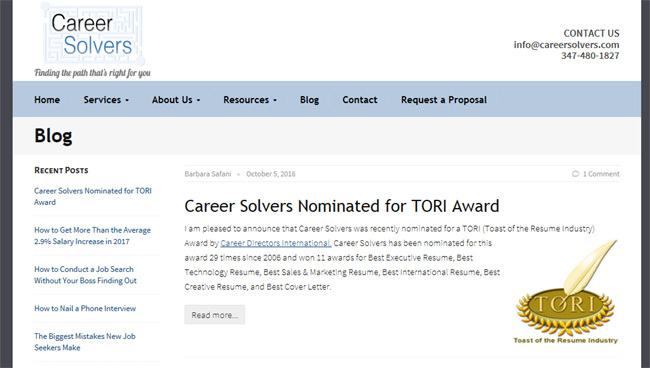 Career Solvers offers resume and cover letter development, revisions, and coaching services. Career Solvers is focused on equipping men and women with the right tools to present themselves well professionally. Barbara Safani is the owner and writer for Career Solvers. 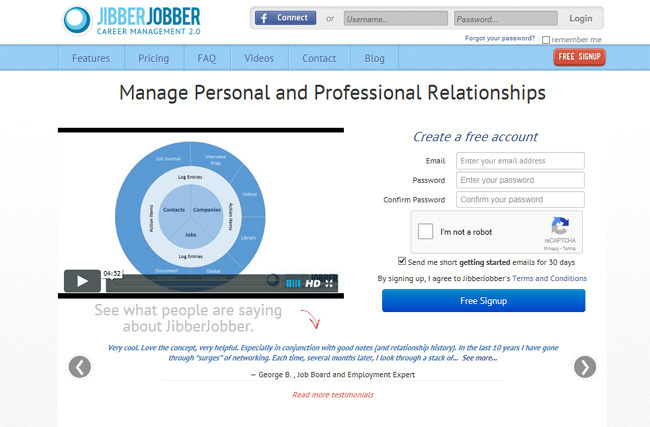 JibberJobber is a free tool that anyone can use for his or her personal career management. Within JibberJobber people can search for jobs, organize and track target companies, and prepare for interviews. 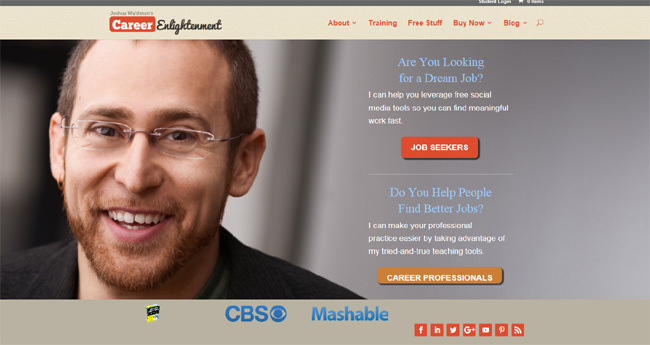 The blog is filled with tips on how to make the most out of a job search and land your dream job. Ask a Manager is catered to consulting individuals on job-related issues regarding hiring, firing, promoting, and managing. 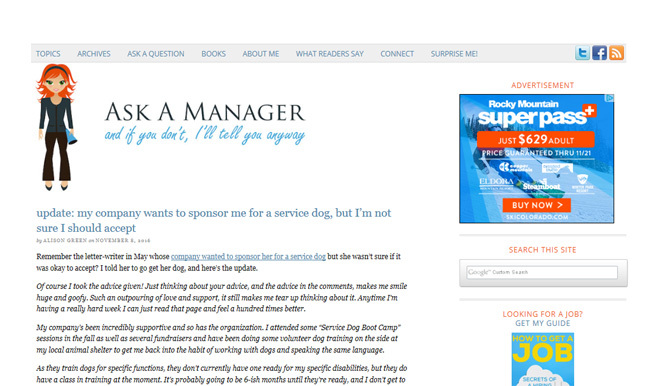 Allison Green is the writer and founder of Ask a Manager and loves to give advice and share her experiences. Kirk Baumann is the founder and writer for Campus to Career. He is driven to prepare the next generation as they embark on their professional journey. 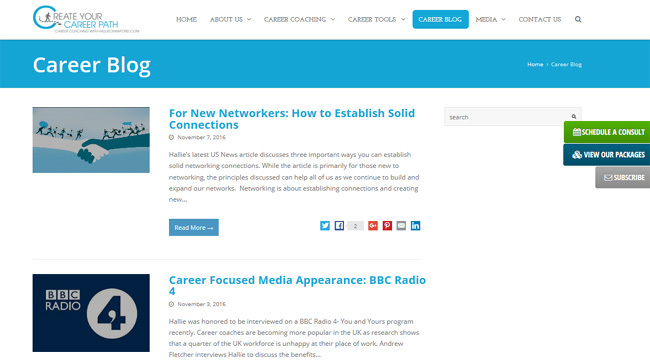 The blog is filled with essential information on career development and helping young adults find the jobs of their dreams. Lisa Quast is the founder and CEO of Career Woman, Inc. She has experience as a career coach, pageant coach, and a business consultant. Career Woman is for women around the world who want to grow professionally and maximize their potential in the workplace. 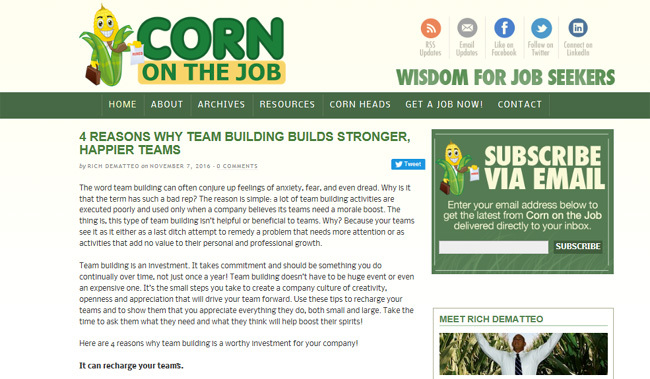 Rich DeMatteo, a staffing and Human Resources professional, created Corn on the Job. He is the sole writer for the blog and shares his experiences within agency and corporate recruiting. Hallie Crawford offers career coaching along with her two teammates, Jasmine and Katie. Hallie’s main goal is to mentor individuals to find a fulfilling career. She does this through career coaching services and valuable articles sharing advice from her career journey.